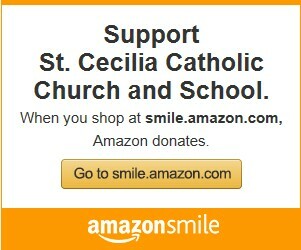 St. Cecilia Catholic Church and School is now registered with the AmazonSmile program. There are thousands of Charities to select from when shopping AmazonSmile. We hope that you will sign up and select St. Cecilia as your charity. This is like a rewards program. 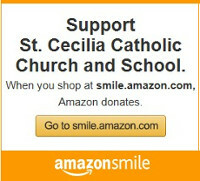 Whenever you shop through the AmazonSmile website a portion of your purchase will come back to the school. Amazon provides privacy to it's consumers by not providing us with a list of people who have signed up. Nor do they provide us with a list of items purchased. If you are an Amazon Prime member you can still shop with your prime account and receive the fast, free shipping you normally receive. If you sign up just remember, whenever you are ready to shop instead of entering WWW.Amazon.com you must enter WWW.Smile.Amazon.com. The School will receive quarterly checks on the qualifying purchases. 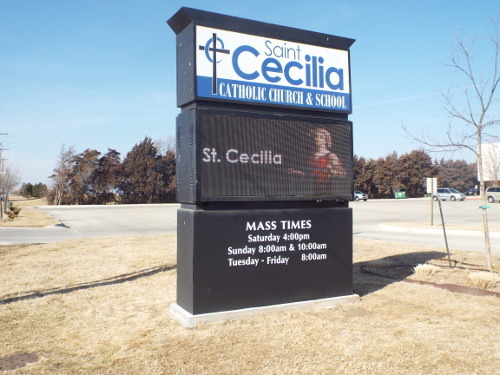 Make St. Cecilia your Home! Have you or someone you know been away from church for a while? Have you thought about joining the Catholic Church? Visit our R.C.I.A. page under the Faith Formation Tab to learn more!